It was about 10 years ago when my boss at the time ran out to pick up something for lunch and bring it back to the office so she could continue working. As she walked passed me, I caught a glimpse of something that looked really good in the see-through take-out container. So I just had to ask her what it was. She promptly handed me a plastic fork to take a taste and from that day on, I was hooked on Applebee’s oriental chicken salad. For many years, I would call the Applebee’s near my work about 15 minutes ahead of time to order my salad and bring it back to the office. On occasion, I would actually eat in at Applebee’s too. And without question, I always order the oriental chicken salad. I never even look at the menu. What is Your Favorite Salad at Applebee's? This salad is offered at Applebee's in a “full” or “half” version. I must confess that I have never ordered the half version. To me, that is just silly. Of course, because I am addicted to this salad I want the larger version and also, the half version isn’t cost effective in my eyes. Applebee’s currently charges $9.49 for their oriental chicken salad. The half size is $7.99. To me, that is really expensive for a salad. I will say, though, that this salad is on their “2 for $20” menu which means you can get two entrees and an appetizer for 20 bucks. But times have changed for me over the years, and I do not work at that same job that was near an Applebee’s. In addition, I don’t make the income that I used to. Recently, I thought about this salad and how sad I am that, for me, it is not something that is easily within reach or affordable. 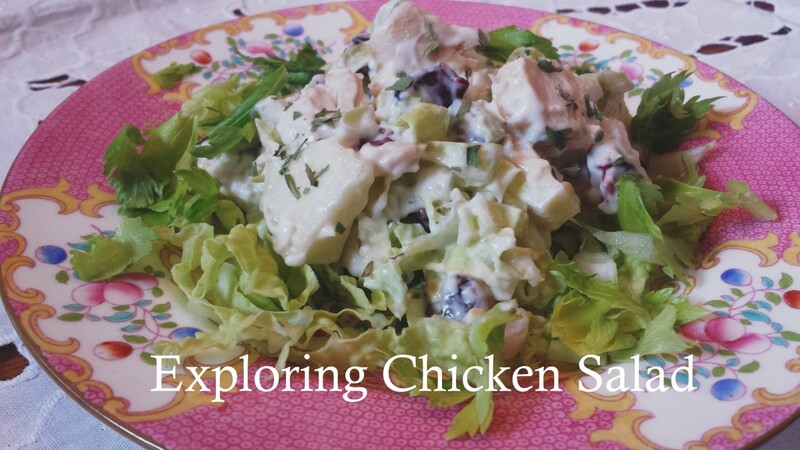 I did a little bit of searching on the internet and there are many “copycat” recipes for Applebee’s oriental chicken salad. I took a look at many of the recipes to help me decide what I thought would make this salad exactly like I get at the restaurant. And I’m excited to tell you that I believe I have put together a very simple, much less expensive recipe that is a true replica of my favorite Applebee’s salad. Bake entire bag of Tyson crispy chicken strips according to package instructions. 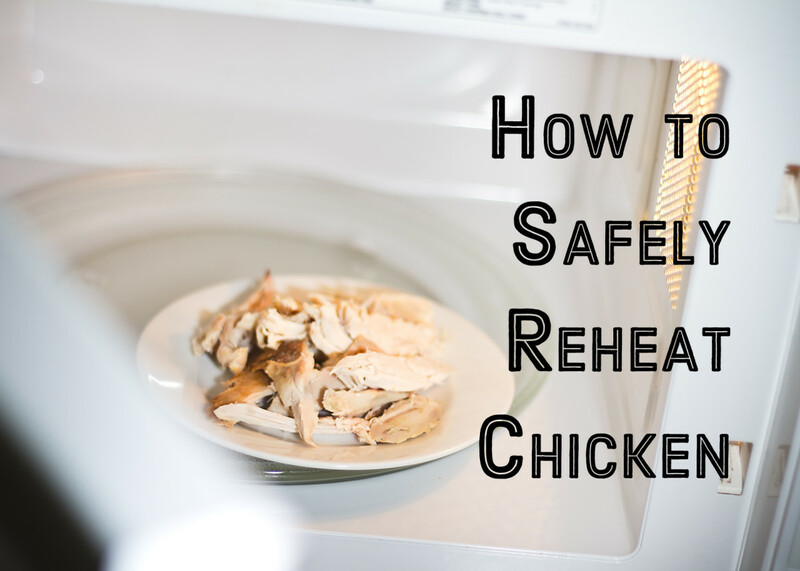 Although you can use the microwave or fry in oil, for best results, I suggest heating in the oven to retain crispiness. Cut chicken strips into desired size pieces. I cut mine to bite size approximately one inch. Layer the salad: You can prepare individual dishes/plates or layer the salad in a large roaster pan, approximately 17" X 12" X 3" deep, for easy serving. As you will see by my photos, I decided to layer the salad in a pretty glass trifle bowl but I only used half of the ingredients for display. This recipe will actually fit better in an extra-large roaster pan. 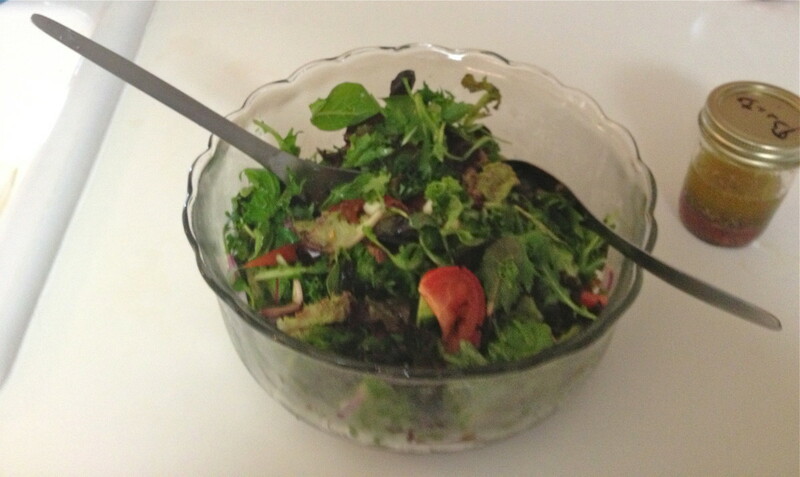 This recipe, using two bags of salad mix, will comfortably serve 6-8 large salads. Feel free to split all ingredients in half to serve approximately 4 large salads. I’ve never ordered this salad at Applebee’s without asking for extra dressing. It’s different and I believe, difficult to duplicate. I have tweaked a version that I believe makes you think you ordered it from the restaurant. It is so simple and so good! 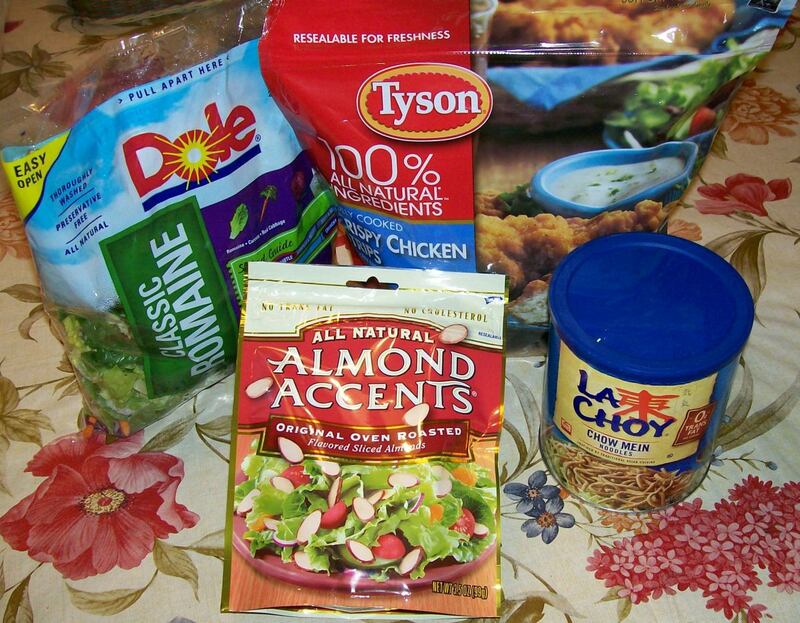 Mix all ingredients preferably with a blender. If necessary, a whisk will work too. Keep refrigerated. That's it! So easy and tastes delicious. Now you can have your own Applebee's oriental chicken salad anytime you wish. I truly hope you enjoy! You are welcome. I just started submitting articles to Hub Pages and only have 14. They are not doing anything but hopefully the will. I have submitted articles for years but must sites have left or quite paying. Your articles are great so keep it up. Oh, you have to try it. The combination with the great dressing is addicting. Thanks for stopping by norlawrence! Another great article. I like to eat at Applebee's but have never tried that salad. Will have to do that. Hello sweet Audrey! I haven't been to Applebee's in a long time either but I have made this salad and thinking about making it again some time soon. Thanks so much for stopping by. Hope all is well with you! Love this recipe! I'm always up for a good salad. Haven't been to Applebees for years. I'm glad you included the map as I had no idea they were located outside the U.S.
Hi Susan ~ the dressing is really good. It definitely would be good as a dip for chicken. Thank you so much for your comments! Sounds so good! 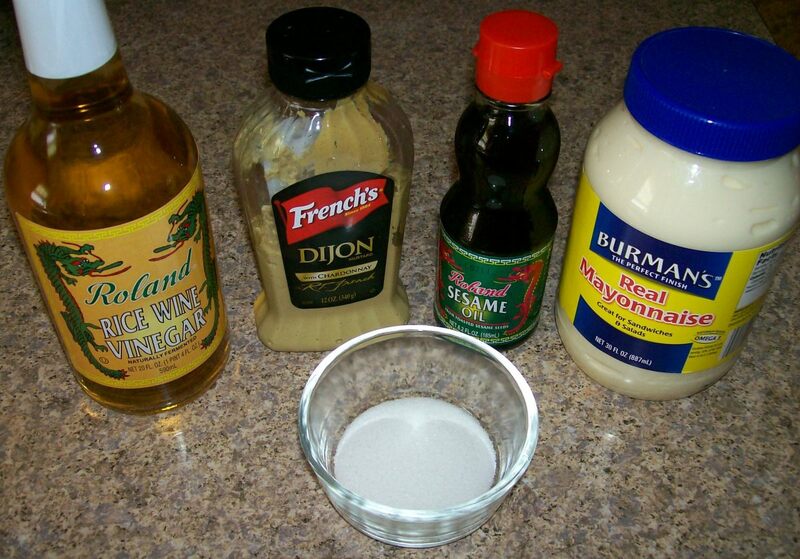 I like the dressing recipe, which I'm sure could be used on any salad or perhaps as a dip for the chicken. Thanks for the yummy inspiration! Hey PoetryMan~ do give it try. It's really good and addicting. Thanks for stopping by. I am way to lazy to make the stuff but the next time I am at Applebee's I think I will give it a try. Hi Missy ~ this salad is SO good. I wish it was healthier but it is a wonderful treat. Thank you so much for stopping by. 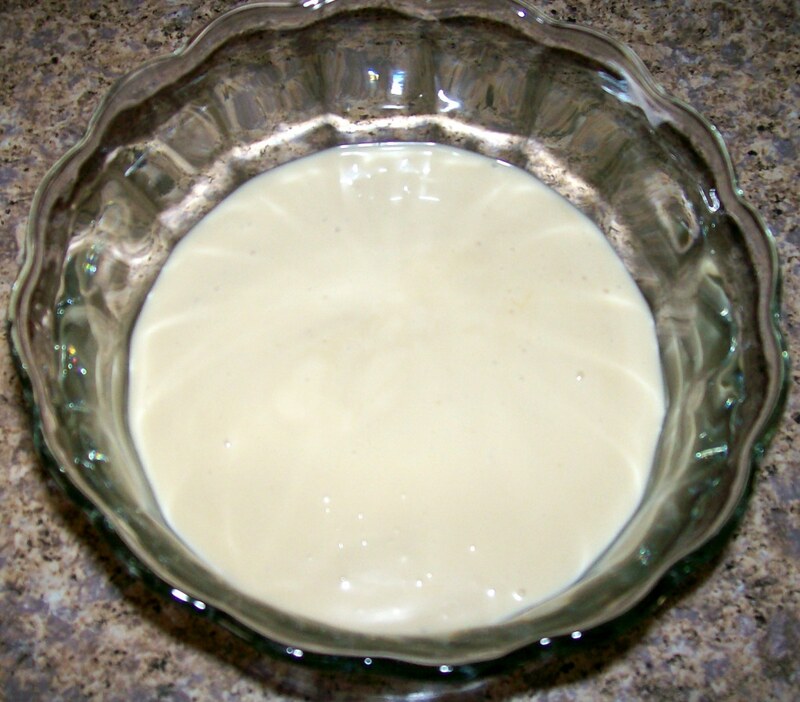 Hi Sharyn's Slant; I am trying this recipe as well. I just visited the Hub on the Trifle desert. I love salads. Another great hub!!! Hi Beth ~ I hope you do try it. It is SO good and really does taste like Applebee's. Thanks for stopping by. This looks good, Id like to try it. Hi phdast ~ Me too! I really love the salad at Applebee's and am so glad I can save money and make it myself now. Thank you so much for your feedback. Hi Emily ~ I do hope you try this recipe. It is SO simple too. Kind of makes me think "why does Applebee's charge so much for it?" Thanks so much for stopping by. 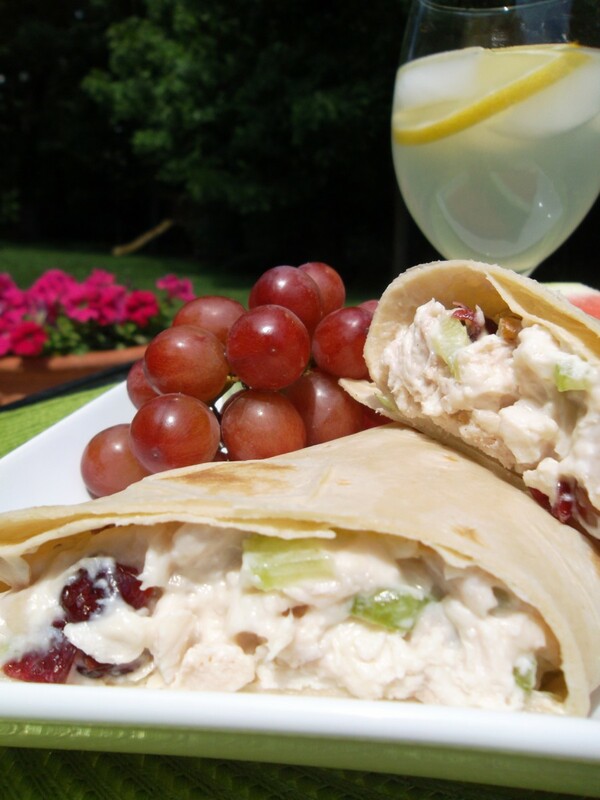 Hi Rebecca ~ I love chicken salad with grapes too, yum. This one is very different but oh so good! Thanks for your feedback and sharing. Wow this looks delicious. I think I'll try making it! and maybe some day try it at Applebees, too :) Thanks for sharing! How clever to replicate a popular chain's dish. Great job! I love chicken salad, anyway. All kinds. I like it with grapes sometimes, apples and celery other times, and now I have a new CS recipe.Thanks! Sharing this one! Thank you all so much for stopping by to read and comment. I apologize for being so behind in my comments. I love this recipe and I hope you do too. I was just at Applebee's last week, and yes, I ordered this salad. It's really hard not to for me. It was good of course but it just reiterated for me how much cost savings there is to make it yourself. As far as healthy or not, I would say this is not one of the more healthier salad options. At Applebee's, it does come with grilled chicken instead of breaded/fried. But overall, I think it's the dressing that isn't so healthy. But it sure is good. Thank you all for your time, votes and shares. Hi Suzie ~ Ha, that's right. You don't need an Applebee's near you. 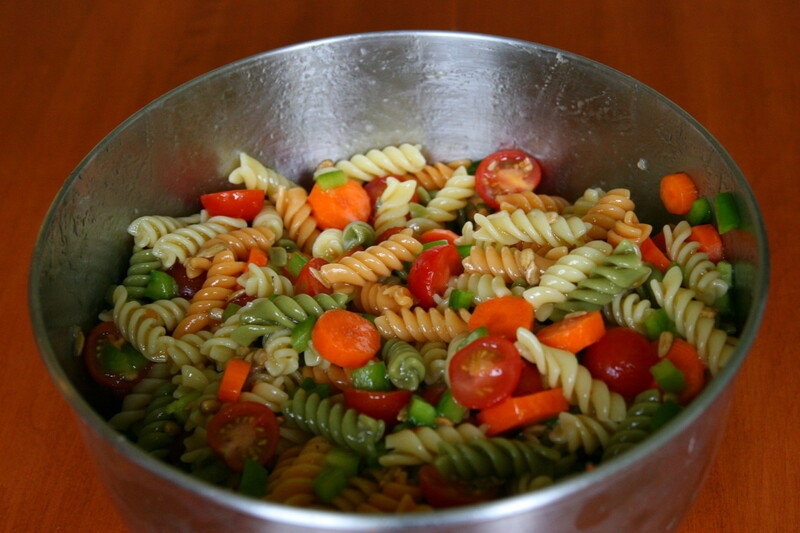 Just make this salad :) Thanks for stopping by, commenting and voting too. Hi Kelley ~ YAY, another Oriental Chicken Salad lover. Thanks for your votes and sharing. Yummy Yummy Yummy! Thank you! Thanks for the delicious looking recipe. I cannot believe that I missed this salad at Applebee's. I will try this one a.s.a.p.. Thanks I shared with my FB friends and voted. I haven't tried this salad at Applebee's. It looks wonderful! Pinning and sharing. Looks interesting but not too healthy so i am still undecided if to try or not. Wow, looks yummy and healthy! Voted up, awesome and sharing!!! 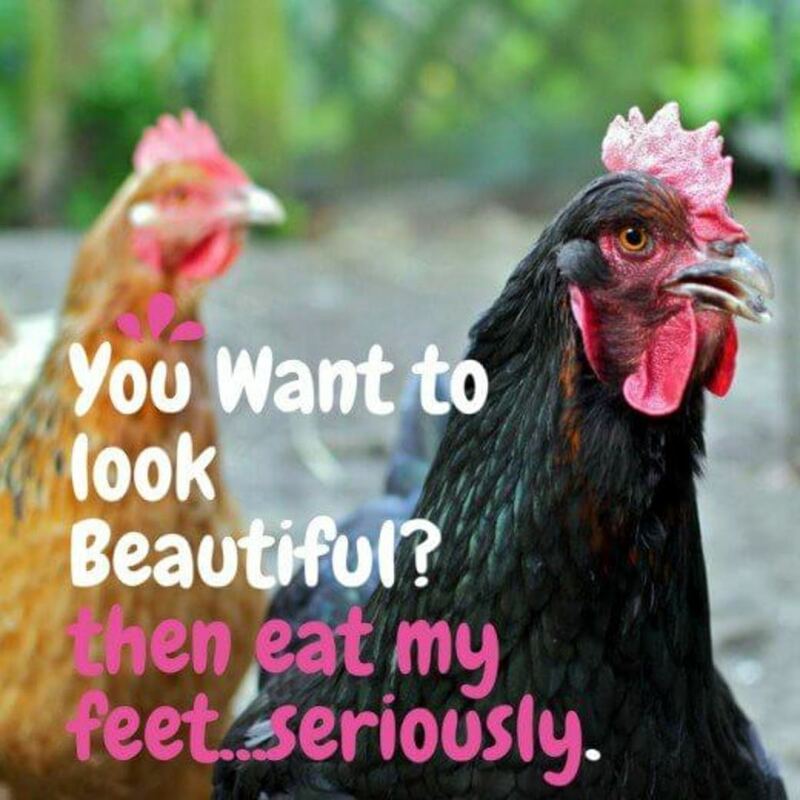 Hey Lela ~ does that mean you've tried it? Thanks for stopping by! Hi Cindy ~ it really is yummy. I admit, I am addicted! Let me know if you try it. Thanks for stopping by! This looks so yummy! I am going to have to try it! Hi TT ~ thanks so much for stopping by. I just made this again yesterday and it was really good. No need for me to pay the high price for this salad at the restaurant. I appreciate your feedback! This does look yummy. I always get the spinach and shrimp salad when I get a salad but just might have to try this one. :) Great job, Sharyn! Hi Lesley ~ So you are "sold" - GREAT! I hope you love it. Like I mentioned in an earlier comment last night, I just made this again yesterday. 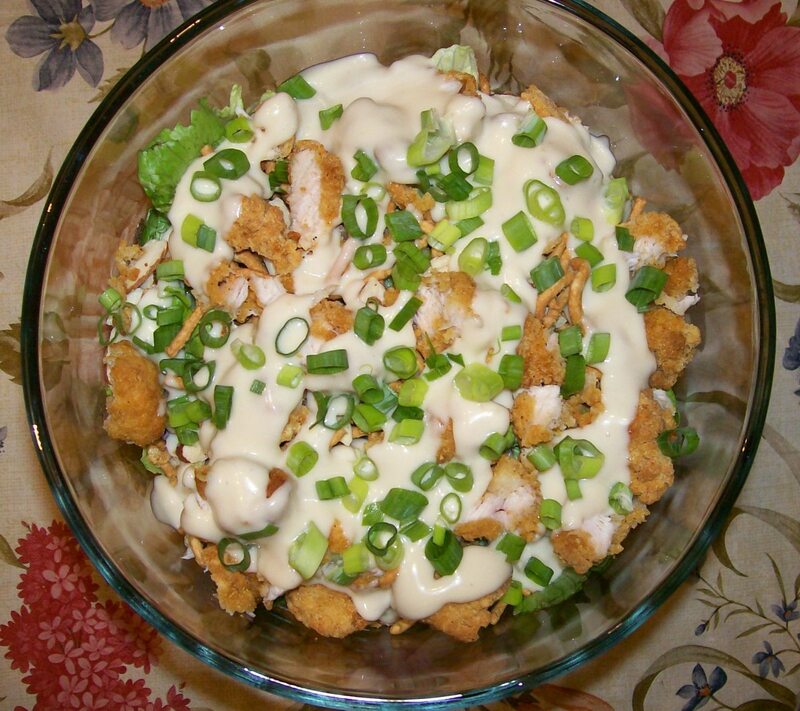 I am definitely hooked on making my own Applebee's Oriental Chicken salad at home. Thank you for stopping by. Hi tillsontitan ~ Well thank you for the compliment. It is a really huge difference in cost when you make it yourself. Thanks for your feedback and votes too! Hello Glimmer Twin Fan ~ You are very welcome, I hope that you enjoy! Hi Brenda ~ well that is a nice compliment. Thank you so much! I'm sure this would work with a "chicken substitute" too. I'm glad you stopped by! Hi Dr. BJ ~ well you certainly have good taste. I just made this salad again today. All I can say is YUM! Thanks for stopping by. Hope you are enjoying your weekend. Hi JackFrost ~ I love that name. Mainly because it is the name of my favorite doughnut shop :) I am glad to hear that you will try this salad. Thank you so much for your feedback. Hi Billy ~ I do believe it. I'm not a person that goes out to eat often at all. So I am not surprised you've never been to Applebee's. And now you don't have to, ha. You can make this at home. I appreciate you stopping by. 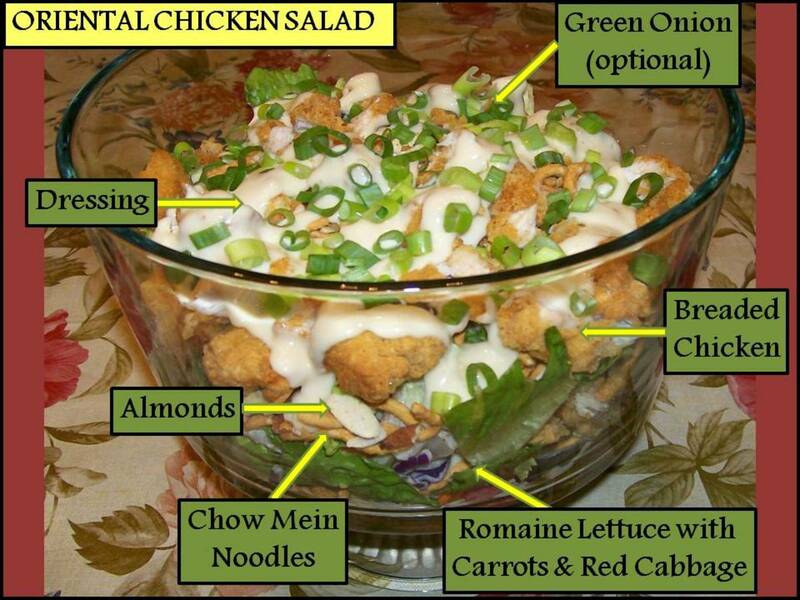 Hi Sally ~ Well you certainly could leave the chow main noodles out if you make this salad. I'm sure it will still be good but I admit, the noodles are my favorite along with the almonds. Thanks so much for stopping by, I hope you like it. Your recipe has me quite excited Sharyn, I have never tried it before, your photos have sold it to me straight away! Hi Susan Z ~ and I've never had the Caesar salad at Applebee's. But I do believe if you like that one, you will love this. Thanks for stopping by! Looks like you've captured the Oriental chicken salad...just think of all the money everyone will save because of your efforts! You haven't left anything out and I know everyone's going to try it. Great job. Voted up, useful and of course, interesting. Yummy - this is definitely one to try. Thanks for the info. I give you 5 stars for presentation alone. I do not at chicken and you made me want this salad. Great job on this recipe. Hi Marisa ~ Oh gosh, I certainly would be in trouble if I worked at Applebee's, ha, this isn't the healthiest salad. Thanks for your feedback. I'm sure you will enjoy this recipe. Hi, Sharon. This is my favorite salad, too, and the one I used to order the most when my assignments took me anywhere near an Applebee's. Thanks for the recipe which I will try for myself. Hey Josh ~ Yup, yup, yup, it was me. 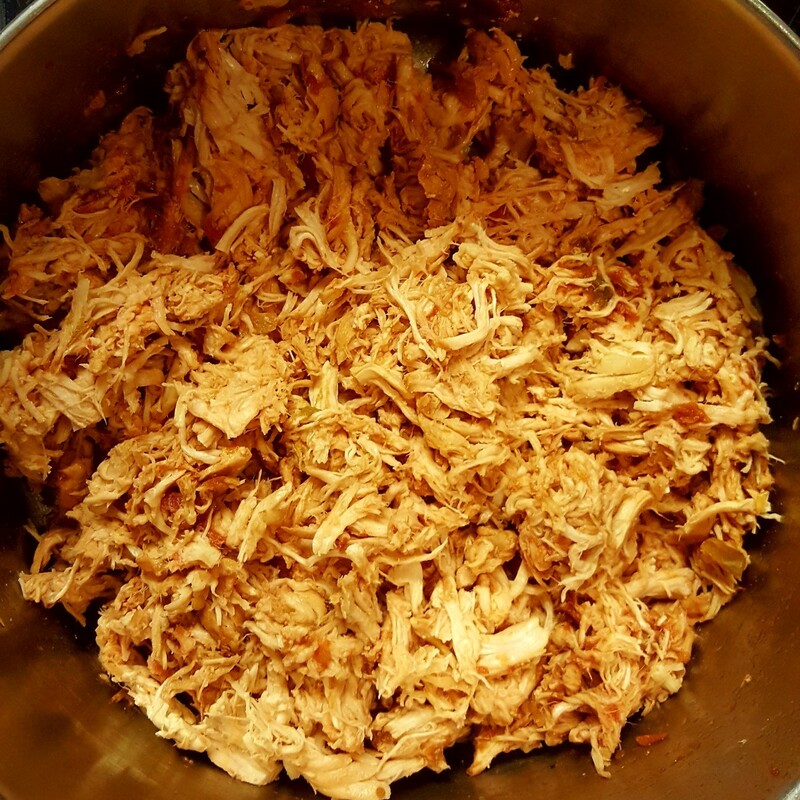 I was talking about copycat recipes in the Facebook group :) So, yes, this recipe is SO much more cost effective and really good too. Thanks for your feedback and the tongue twister! 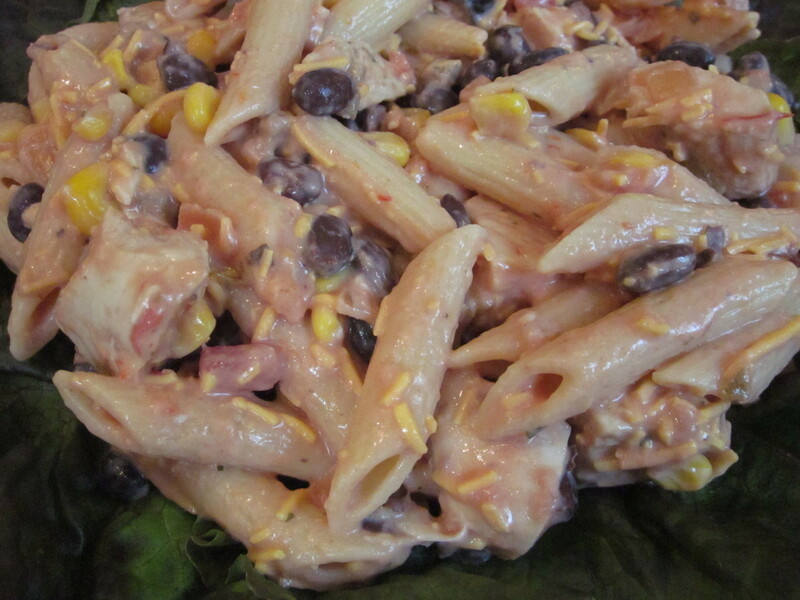 I am only familiar with the "Fiesta Chicken Chopped Salad", never having given the other salads the time of day. Now I will plan to try this, both out and at home. It looks absolutely scrumptuous and I thank you for reminding me that I have choices! Hi Kelly ~ I've never tried the spinach/shrimp salad at Applebee's. Seriously, I have been stuck on this one forever. Since Dave likes this one though, definitely make it for him and see what he thinks. Thanks for stopping by. Do you believe it? I've never eaten at Applebys....this recipe looks fantastic....I do believe I'll give it a try. Great job my friend. I've only ever had Applebees Chicken Caesar salad. Your Oriental Chicken Salad looks and sounds delicious. Will try this soon. Hi Janine ~ YAY, someone else who it sounds like loves this salad as much as I do. Thank you so much for your feedback and sharing this hub. I love Applebees! My fav is the spinach and shrimp salad. I usually get that for lunch when I go there. There's one about 1 mile away so it's a great lunch place to meet with friends. I'll have to try this - my husband loves this one! I absolutely love this salad too from Applebee's and have just pinned this one to try hopefully very soon. I have also voted up and shared too.